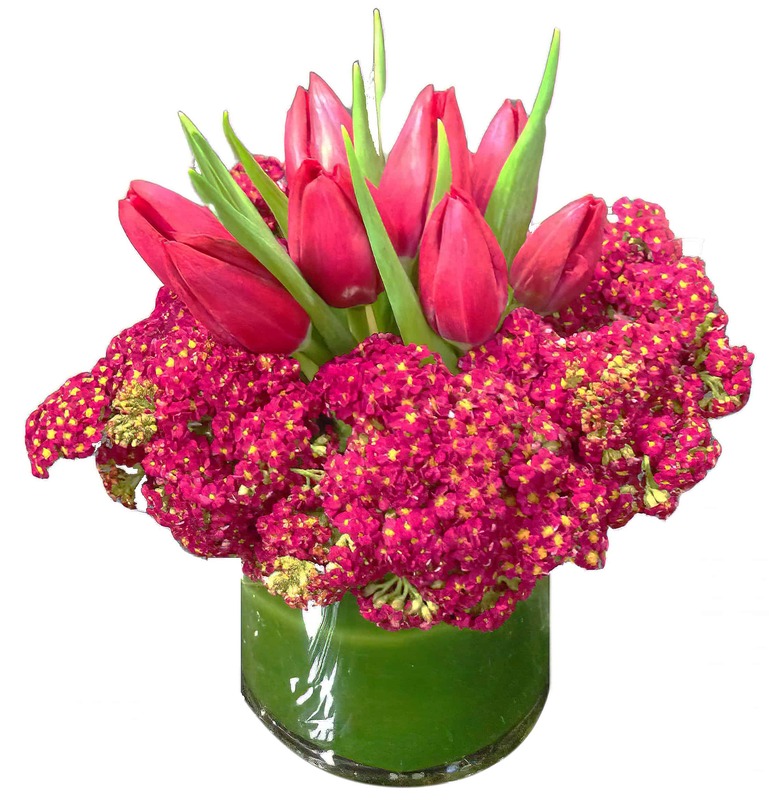 Wet your lips with this simple yet sweet flower arrangement of Red Tulips and Carnations set beautifully in a cylindrical vase wrapped with an exotic leaf inside! It's perfect for friends, colleagues or that special someone to send a quick hello, congratulations or thanks! It's sure to cheer every heart with it's smashing color!